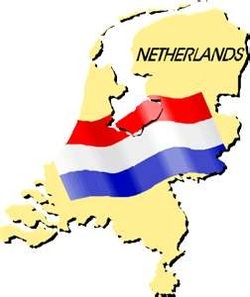 At the end of the 13th century, The Netherlands consolidated all their kingdoms into one nation. This nation was ran by a king and powerful brokers that controled most of the businesses. When the Netherlands were brought together as one, so was its navy. This gave it an exceptionally large amount of sea-going vessels for such a small nation. This surplus of Ships fueled its trading industry (the Dutch East Trading Company) which brought an extreme amount of wealth to the Small coastal country. 1. For being a small nation, The netherlands didn't have many natural resources to fuel an industry such as steal making. Also didnt have the man power to invade its Neighbors, so it used its vast amount of ships to set out on trade in order to bring vast amounts of wealth back. 2. Wealthy Brokers poured money into shipping in order to expand their own wealth. 3. To start an Empire in order to compete with the rest of Europe. The Dutch trading companies ship of choice was the East Indiaman. This ship was choosen mainly for its ability to carry massive amounts of people and Cargo. It was able to do this because of its 3 large masts. But besides being large enough to haul large amounts of cargo, the ships were also well armed. Although The ships often had painted gunports to appear to have more weapons than they actually had, which was usually enough to detour any pirate, they had a substancial about of fire power to back them up incase they came into a confrontation. As the dutch expanded their trade, they began to set up colonies all over the globe: They had colonies in Asia, Africa, South America, the Carribean, and In North America. They collected raw materials such as wood in Africa and and South America until the Portugeese beat them out. The Dutch also collected beaver pelts and other furs for North American woodland tribes amd Sugar ffrom the Carribean. most notibly, The Dutch recieved spices for territores such as Jakarta in southeastern Asia, which was the Area they controled until their Empire collapsed. The Dutch Spread their culture and Language throughout the world due to their trading empire. A few places in southern Asia still speak Dutch as a second language and have intergrated Dutch colonary recipies into their own. The Netherlands have remained one of the Most wealthy countries to the present, continuing their lineage of powerful wealthy brokers. Their trading companies are still studied to this day. For such a small country, it left a supstantial mark on the past.